At 6-foot-5, Allie Barber will join Jenna Rosenthal and Teal Schnurr to add another big weapon to Marquette's front line in 2016. Photo courtesy of Allie Barber. Lost in the whirlwind of volleyball’s fifth consecutive run toward an NCAA tournament berth, head coach Ryan Theis announced an elite recruiting class comprised of three Top-100 prospects for the 2016 freshman class. 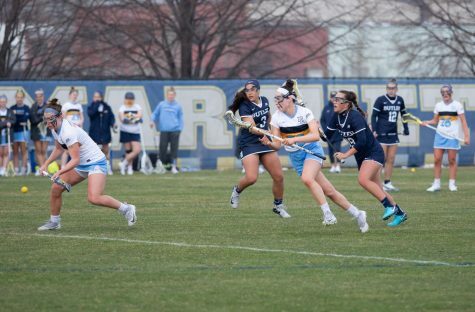 In-state aces Allie Barber and Madeline Mosher and Californian Lauren Speckman attend Marquette next fall with aspirations of keeping its tournament streak alive. Before Allie Barber even chose from the bevy of schools offering her a Division I scholarship, she first had to make a difficult choice: what sport did she want to play? Barber is an all-state middle hitter at Cedarburg High School, but when she steps off the volleyball court, she then steps right onto the basketball court as her team’s starting center. And basketball isn’t just something she does to keep busy; she was first team all-conference in both her sophomore and junior years. Despite her success on the hardwood, Barber says there are no conflicting loyalties between the two sports. “I always knew that I’d be able to play basketball well, but volleyball is the sport I love and want to play all the time,” she said. As the 45th ranked recruit in the country by PrepVolleyball.com and AAU National All-American, Barber will probably get her wish, though not immediately. She revealed that she is already planning to redshirt this upcoming year, because her efforts were split between volleyball and basketball throughout high school. The redshirt year would give her more time to refine her skills and keep pace at the collegiate level. 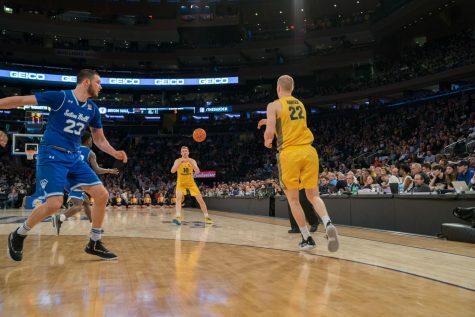 The 6-foot-5 standout athlete marries two attributes that both volleyball and basketball scouts yearn for: size and athleticism. This lethal combination has won her team matches, personal accolades and the respect of her high school head coach Jimmy Burg. “She takes a lot of pressure off girls in the back row, and offensively she carries such a big load for our team,” Burg said. 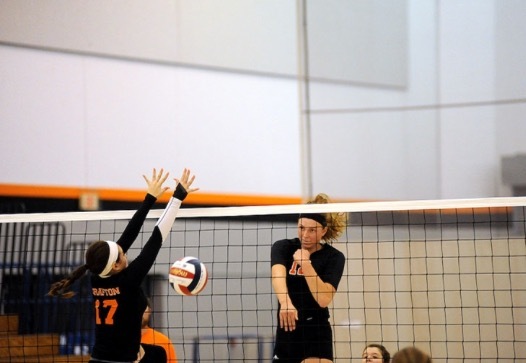 Burg is the fourth volleyball coach that Cedarburg High has had during Barber’s high school career, which she says has led to frustrating experiences such as having to forget then re-learn portions of her game. However, Barber also says that she’s developed the most under Burg. Considering how lethal Barber was even without solid coaching and while splitting time with an entirely different sport, that’s a scary prospect for the rest of the BIG EAST. 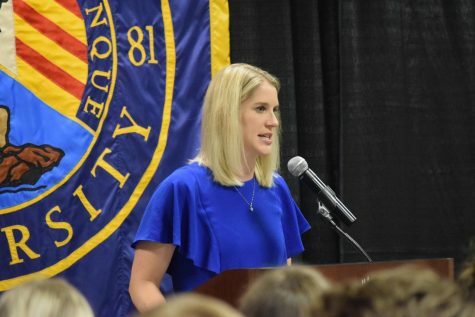 One vital component Marquette volleyball has been missing this year is a true six-rotation player; someone that excels at swinging away in the front row as much as diving for balls in the back row. 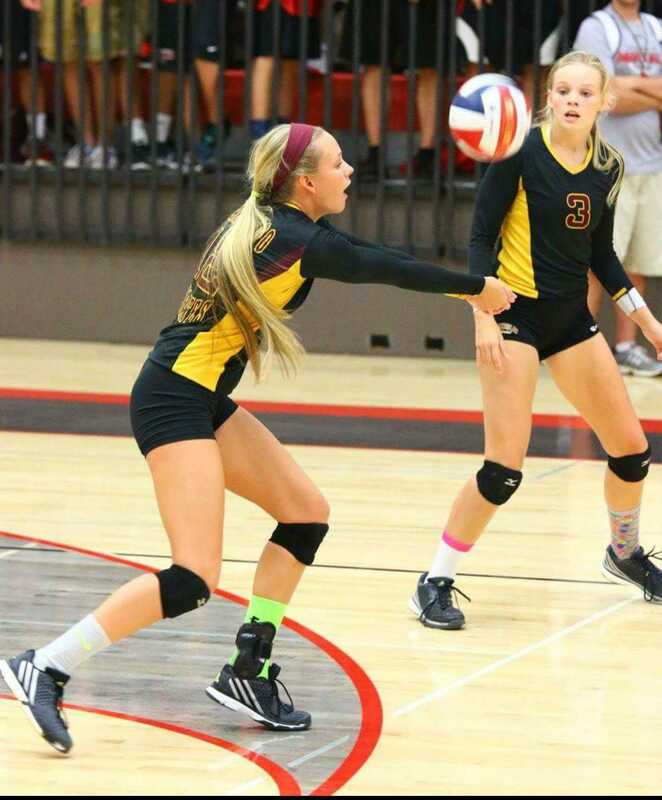 By recruiting Madeline Mosher, the Golden Eagles may have filled that blank. 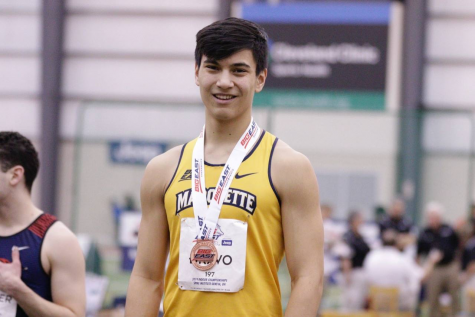 The 6-foot outside hitter from Waterloo committed to Marquette in July 2014, passing up other offers from Alabama, Notre Dame, Wake Forest and other notable programs. 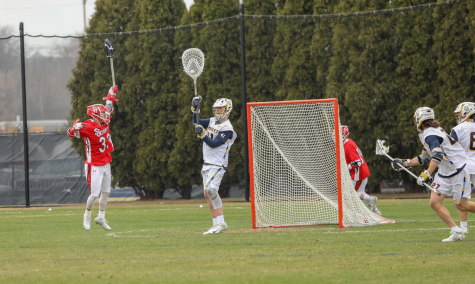 Even though Mosher is the lowest ranked of Marquette’s three-woman recruiting class at No. 85 by PrepVolleyball.com, she may be the most likely to receive playing time next year because of her experience in playing all six rotations. Photo courtesy of Madeline Mosher. “That’s actually been a big thing for me, getting my back row play to where it’s the same as my front row play,” she said. If there ever was any doubts about Mosher’s all-around ability, she quickly and forcefully laid them to rest in Waterloo High School’s state semifinal matchup against Eau Claire Regis. She put up a massive 41 kills and 25 digs to lead her team back from a 2-1 deficit to win the match in five sets. Her team would go on to win the state title. After the Regis match, Mosher told the Wisconsin State Journal that she was “really mad at herself” for allowing her team to fall behind. It’s a feeling she says she feels quite often on the volleyball court. “I think that I actually get mad a lot, but I try to keep it to myself because I don’t want to take it out on other people,” Mosher said. Except, of course, on those unfortunate enough to find themselves on the other side of the net. Lauren Speckman found the college coach she wanted to play for during her sophomore year of high school. He just wasn’t in the right place yet. Ohio University recruited the setter from San Jose, California in 2013 when current Marquette head coach Ryan Theis was at the helm of the Ohio program. 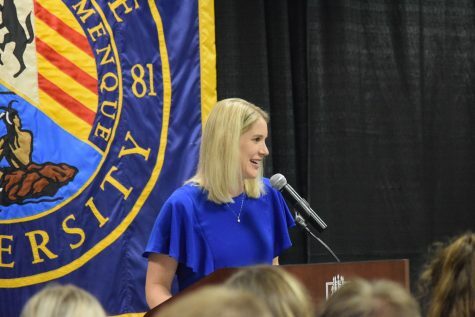 Speckman said she liked Theis, but didn’t especially care for Ohio’s program, which didn’t offer the type of personal connection that Marquette’s did. 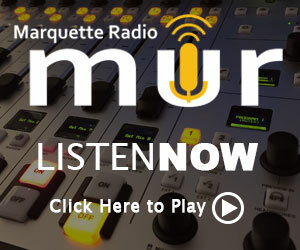 “It seemed like some of the other programs were in it to make sure they were getting a championship, which obviously every girl wants, but Marquette shows more interest in making sure there’s still a connection when they’re done and that there’s a future for you,” Speckman said. After Speckman finished her official campus visits, she made pros and cons lists for all of her prospective schools. 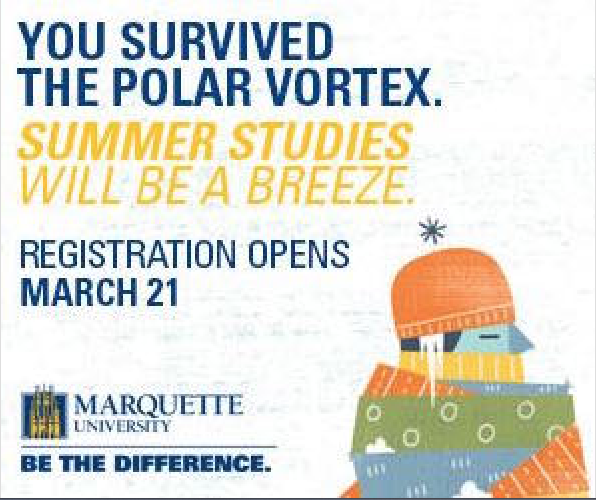 She silently rooted for Marquette to have more pros than cons. 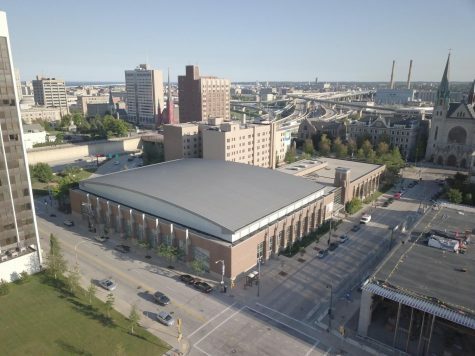 With the thermometer regularly dropping below zero degrees in the winter, it can be difficult for Marquette to attract talent from traditional volleyball hotbeds such as California and Florida. Speckman isn’t like most others, though; she claims she is totally unfazed by the cold. Speckman also says that moving over 2,000 miles away from her childhood home doesn’t particularly bother her either. “(My parents) have raised me to be independent, so I think I’m going to be fine,” she said. 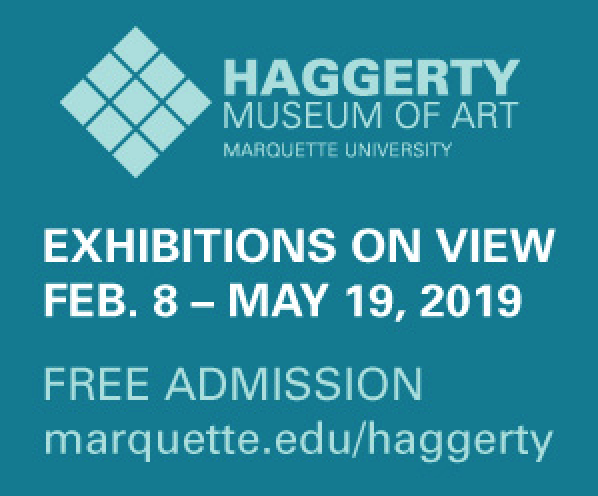 It seems there’s not much that can rattle Speckman, the nation’s 75th-ranked prospect and Marquette’s heir-apparent to Sara Blasier at setter. 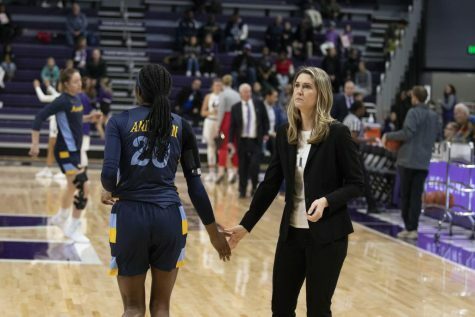 Her precise passing and resoluteness under pressure may give the Golden Eagles the extra edge they need to eventually reclaim the BIG EAST title. 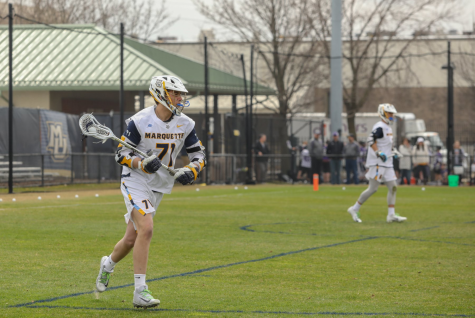 Together, these three players hope to form the core of a nationally relevant Marquette team for years to come, and it will be worth watching them in the next few years to see if those lofty goals come to fruition.